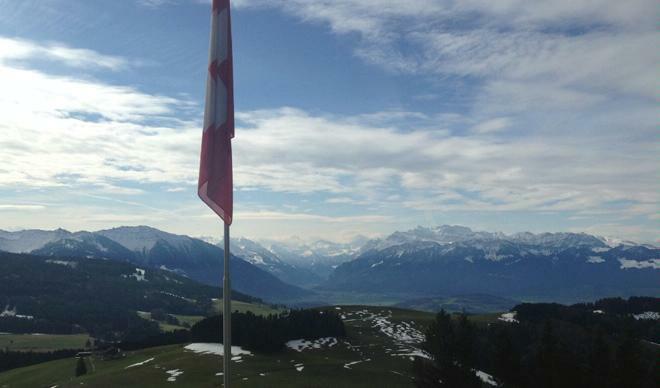 Our Alpine restaurant is located at 1058 meters above sea level. Its sun terrace offers the most beautiful 180-degree panoramic view. 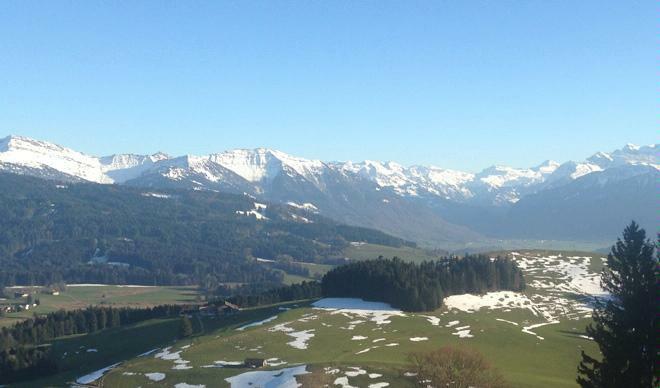 Enjoy the view of the Appenzell region over the Toggenburg to the Glarner Alps as far as Central Switzerland. 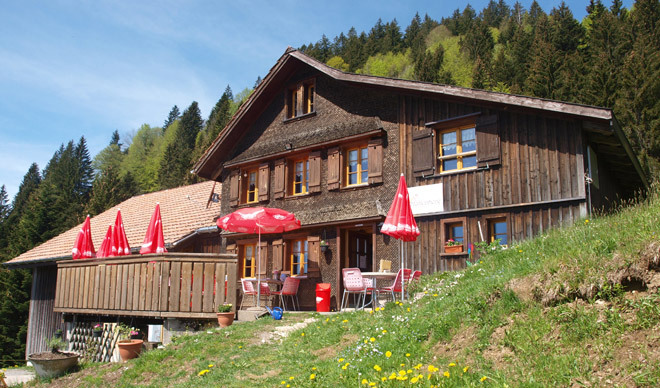 The Hüttenberg Alpine restaurant is situated in the middle of the unique hiking area of Atzmännig mountain, located directly at the Toggenburg mountain path that leads from Wildhaus to Wil, St. Gallen in six stages and offers one of the most beautiful but also most demanding long-distance hikes of the region. Enjoy homemade specialities from our kitchen made from many regional products. 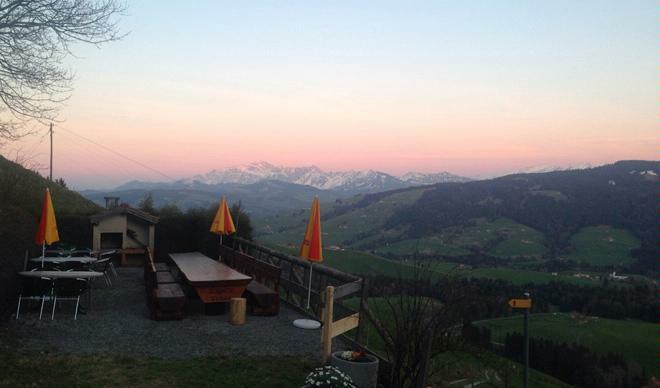 Our Alpine restaurant can be reached within a 20-30 minute walk directly from Oberricken where ample parking is available. The trail is well maintained - also an ideal tour on bad weather days. Only the very last section is a bit steep. You can also reach us from Atzmännig mountain. For guests who have trouble walking, we offer a ride from the Oberricken car park. If you would like to use this service, please do not hesitate to contact us. In winter, you can easily reach us on snowshoes or hiking boots. Wednesday - Saturday, 9 a.m. - 12 a.m.
Sunday - Monday, 9 a.m. - 8 p.m.